The Residence Royale holiday villas in France are all located on the Cote d'Azur in the South of France, from Villefranche sur Mer near Monaco to St. Tropez. All holiday villas are carefully selected and are regularly checked. Choose one of our luxury holiday villas for an unforgettable vacation in southern France. 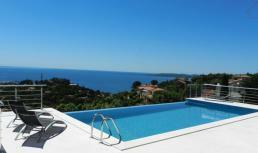 This luxury villa is for rent near the beautiful village Gassin on the Côte d'Azur (France), only 6 km. from St. Tropez and 10 minutes from Pampelonne beach. Wonderful vacation villa with 4 bedrooms, 3 bathrooms, internet, air conditioning and private pool! 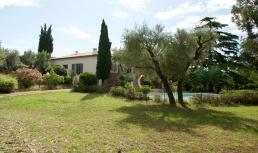 Villa Adelina is for rent in St. Maxime (Côte d'Azur), only 1 km. from the sandy beach and the bustling centre with shops and restaurants. 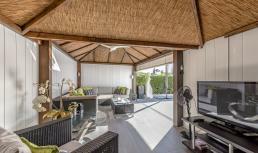 Superb villa for 10 with private pool, air conditioning and WiFi internet. 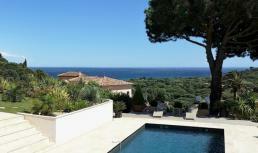 Villa Novio is for rent in St. Maxime (Côte d'Azur), only 800 m. from the sandy beach and a few km. from the bustling centre with shops and restaurants. 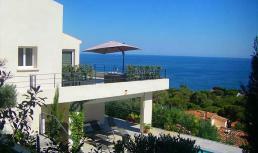 Outstanding villa for 9 with heated pool, air conditioning, WiFi internet and panoramic sea view. This villa has an elevator and is wheelchair accessible. Villa Bernice is for rent in St. Maxime (Côte d'Azur), only 5 km. from the beach and the bustling village centre with shops and restaurants. Wonderful vacation villa for 8 with heated pool, air conditioning and WiFi internet! Villa Marcelle is for rent in St. Maxime (Côte d'Azur), only 5 km. from the beach and the bustling village centre with shops and restaurants. Superb vacation villa for 10 with heated pool, air conditioning, WiFi internet and sea view! Villa Nathaly is for rent in a quiet private domain in St. Maxime on the Côte d'Azur, only 900 m. from La Nartelle beach and 1 km. from the bustling centre with shops and restaurants. Lovely holiday villa for 8 with heated pool, air conditioning, WiFi internet and amazing sea view!